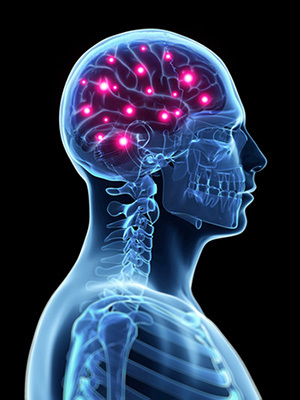 You are here: Home > Community > Blog > Are Your Brain Chemicals All Wrong? I was working in a gothic and ancient psychiatric hospital in my early twenties. On a dark afternoon, I sat with a group of elderly patients. I'd been assigned to watch, at all times, one in particular who was deemed a suicide risk (a 'Level 1') and make sure he didn't attempt anything. I felt like a spy from the land of 'normality'. The patients - or, as they were becoming known at the time, 'service users' - sat in the hospital lounge empty-eyed as if miserably watching their lives slide away from them inch by wretched inch. Eventually one turned to me and said, "You know, Mark, I think I would have been okay if I had never been lobotomized when I was about your age." It was John, the patient with the Level 1 status. This was a new one on me, as I hadn't read up on his history. John was now seventy years old. I knew that lobotomy had been a psychiatric fad reaching its height in the 1940s and 50s, and that the procedure involved cutting the connections from the prefrontal neocortex in the brain. It was believed to be a cure for 'insanity' and mood swings, but was eventually outlawed because of the frequent incapacitation and risk of death involved. Thankfully, psycho-surgery is no longer in vogue. Times have changed...but how much for the better? Times and presumptions have moved on and psychiatry is now big business. The current prevailing idea is that psychological distress is in need of chemical fixes rather than surgical treatment. The assumption behind this belief is that depression, anxiety conditions, and even addictions and psychotic illnesses such as schizophrenia and bipolar disorder are caused by faulty genetics. This theory has really taken off, particularly in America, where drugs are often the first line of treatment and the psychiatric products industry is a multi-billion dollar industry. The chemical imbalance theory has become so ingrained in the public's mind that it is not seen as a theory but as a self-evident truth. It has, until recently, been almost taboo to suggest it might not be true - or as true as is commonly assumed. Depression has come to be viewed - especially in the USA, but also in the UK and other parts of the industrialized world - as a 'chemical imbalance' in need of long-term treatment by expensive (or profitable, depending on whether you're selling or buying) chemical products. The idea was that serotonin, a neurotransmitter, is deficient in the brains of depressed people. You just need a top up of serotonin and all your life experience, personal values, and traumatic past can be sorted. But there is no evidence that depression is linked to low levels of serotonin or that antidepressants such as selective serotonin reuptake inhibitors (SSRIs) restore 'normal levels' of serotonin. And yet this is still peddled out, a myth that will do for the masses so they'll keep buying it. This idea, which is still simplistically sold to the public (3), originated from the work of Dr George Ashcroft in the late 1950s, who believed he'd found lowered levels of serotonin in the brains of suicide victims and in the spinal fluid of depressed patients. Later experiments with better equipment didn't find lower levels of serotonin in depressed people and Ashcroft dropped his idea like a true scientist - but the psychiatric industry didn't (4). In fact, no such link has ever been conclusively found. Furthermore, artificially lowering serotonin levels does not bring about depression, which you'd think it might if the theory was correct (5). While antidepressants do seem to work for some people, the effect is not significantly more than placebo (6). And what with pharmaceutical companies only publishing research that seems to show their products work whilst continually not publishing the many studies that show they don't (7), we're in a right old ethical quandary! But surely the 1% of the population that develop a psychotic illness are better treated with pharmaceutical products? Well, maybe, but their treatment needs to be weighed up against the horrendous side effects these products so often produce, as well as research that shows that people who are never given medication for schizophrenia fare better than those who are prescribed meds (8). But please don't get me wrong. I'm not for a moment saying there is definitely no correlation between genetics and psychotic illnesses like schizophrenia or even depression. What I am saying (or rather, all the research is saying) is that there is no evidence that drugs work to make people genuinely happier or even more stable above and beyond temporary usage and their placebo effect (which is of course very powerful). For example, antidepressants don't decrease the risk of suicide and some may even significantly increase the risk (9). So there is no proof that psychological problems are caused by chemical imbalances or, if they are, what those chemical imbalances are. There is also no proof that products sold to treat these conditions are truly effective. They weren't so darned expensive. But surely if we believe that it's all down to a poor result in life's great chemical lottery, then there will be more understanding of psychological problems amongst the general population? If you know your neighbour just has unfortunate genetics rather than being a human being reacting to adverse life circumstances, you will feel more sympathetic, right? After all, it's not her fault! This is an argument we often hear, as if calling depression a 'disease' will somehow make it seem more understandable, like knowing someone has diabetes or cystic fibrosis. Only, it doesn't. "It's not his fault he has faulty brain chemicals." v. "It is his fault that he lost his job, that his wife left him, that he feels isolated because he's moved to a new area..."
"It's not your fault, it's your brain chemistry; you just need meds..." Or if you were in the US or UK in the 1940s/'50s: "It's not your fault, it's your brain structure; you just need a lobotomy..." The common denominator here is that it's not your fault; which is quite right, of course. Many - too many - so-called 'cowardly' British soldiers were shot on British orders during WWI because they were suffering what today would be seen as the condition of Post Traumatic Stress Disorder or, back then, 'shell shock'. It's important to understand that PTSD is a natural condition that comes about through experience. They were not cowards, but people suffering from severe but normal reactions to abnormal circumstances. Understanding the human condition should make us all more caring towards people experiencing emotional difficulties. It may not be a chemical imbalance but it's still not 'all your fault' if you're going through a tough time. Research has found that, rather than increasing empathy and understanding, the chemical imbalance theory actually makes other people feel that those suffering are more different from themselves. The problem is that the biomedical or genetic idea about a condition such as depression or schizophrenia carries with it the background assumption that the brain made ill through genetic abnormality is more completely and permanently broken and 'different' than a 'normal' brain. In this way, it's a belief system that can increase stigma. This is not fair, because many people, particularly in cultures that don't share our medical model of emotional problems, do get better permanently from depression and psychotic illnesses (10). If we believe someone else is 'built differently', that they have different brain chemistry, we tend to trust them less and fear them more than if we feel they are just undergoing a very stressful time or have a troublesome past. In a piece of research (11) by Professor Sheila Mehta of Auburn University in Montgomery, Alabama, subjects who believed their research partner in a simple learning task had a mental illness due to 'stuff that happened to them as a kid' were much more understanding than they were of those whom they believed had a mental illness due to 'bad biochemistry'. The subjects sold the biochemical line were more likely to be crueller and administer more severe electric shocks when their partner in the study (who was really a planted confederate of the researchers) told them they had faulty brain chemistry. So it seems the 'it's a disease like any other' doesn't make for more understanding from other people. 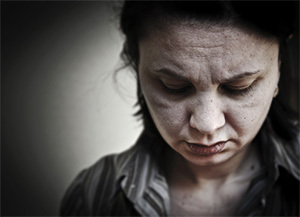 Psychiatric practise (which can be defined as the medical treatment of emotional difficulties, not to be confused with psychotherapy) may involve little to no interest in the patient's experience, life context, or history above and beyond diagnoses of 'disease' and prescription of products such as antidepressants or 'antipsychotics', neither of which have ever been proven to work. Of course, psychiatry isn't 'bad' in the sense that it tries to make things worse. Certainly, some drugs may help some people sometimes psychologically - perhaps by acting as a temporary sedative. And some individual psychiatrists are wonderful people who genuinely care about their patients and may offer them more than just drugs by practicing psychotherapy as well. They might genuinely believe that it's all about the chemistry and therefore feel they are doing the best they can for their patients. They are not charlatans or quacks. I wonder what John, the patient I befriended so long ago, could have become had he not been first lobotimized and then fed psychotropic drugs for many years. I hope we can start to 'move in the opposite direction' for him, and others like him. Feldman, B. (2001). The Nobel Prize: A history of genius, controversy, and prestige. Arcade Publishing. ISBN 1559705922. Day, E. (2008). He was bad, so they put an ice pick in his brain.... The Observer. This is how GlaxoSmithKline describe this process: "Normally a chemical neurotransmitter in your brain called serotonin helps send messages from one brain cell to another. This is how the cells in your brain communicate. Serotonin works to keep the messages moving smoothly. However, if serotonin levels become unbalanced, communication may become disrupted and lead to depression...Paxil CR helps maintain a balance of serotonin levels." Watters, E. (2011). Crazy Like Us: The globalization of the western mind. 253-273. ISBN 1416587098. At least 90 studies have been done to see what happens when monamine levels are reduced in people. A 2007 meta-analysis of this research conducted by Ruhe, H.G., Mason, N.S., and Schene, A.H. at The University of Amsterdam found no evidence that lowered serotonin acted as a depressant. See: The Antidepressant Industry's Dirty Little Secret. Kirsch, I. (2009). The Emperor's New Drugs: Exploding the Antidepressant Myth. ISBN 0465022006. Bentall, Richard P. (2009). Could antipsychotics make patients more vulnerable to future episodes? Doctoring the Mind: Why psychiatric treatments fail. ISBN 0141023694. See: Jick, S.S., Dean, A.D., and Jick, H. (1995). Antidepressants and suicide. BMJ. doi: 10.1136/bmj.310.6974.215. See also: Leon, A., Marzuk, P., Tardiff, K., Bucciarelli, A., Markham, P.T, and Galea, S. (2006). Antidepressants and youth suicide in New York City, 1999-2002. Journal of the American Academy of Child and Adolescent Psychiatry doi: 45:1054-8. See: Warner, R. (1983). Recovery from schizophrenia in the Third World. Psychiatry, 46(3). 197-212. See: Mehta, S. and Farina, A. (1997). Is Being "Sick" Really Better? Effect of the Disease View of Mental Disorder on Stigma. Journal of Social and Clinical Psychology, 16(4). 405-419. doi: 10.1521/jscp.1997.16.4.405.